Production ready materials enable you to source custom parts on-demand with a high level of performance and value. Our production systems allow you to specify 3D printing as your process for one-off and low volume parts. The materials in this category are engineered to withstand the most extreme environments, in many cases reducing part count, eliminating tooling costs, slashing lead times and making inventory a thing of the past. When we talk about performance for custom parts we’re referring specifically to mechanical properties and the ability to break conventional design constraints. The common technologies used for custom parts include Stereolithography, Selective Laser Sintering and Direct Metal Laser Melting. Stereolithography resins encompass many different simulated thermoplastics ranging from high-temperature composite resins to flexible poly-propylene like materials. 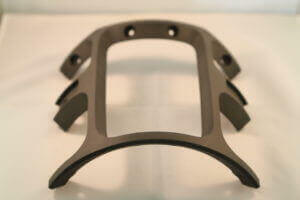 Examples of custom parts produced with SLA include thermoforming molds and temporary end-effectors. 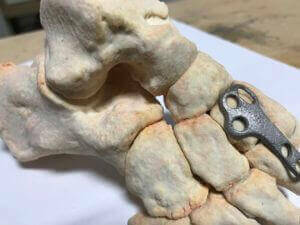 Printing thermoform dental molds enable the customized production of patient-specific tooling. 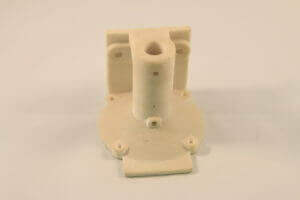 Selective Laser Sintering, on the other hand, is generally leveraging the mechanical properties of nylon. The SLS materials encompass Nylon-12, Nylon-11, Glass-Filled Nylon, Carbon-Filled Nylon and TPUs. Common uses of SLS include patient-specific surgical guides, ductwork for under the hood components in automobile racing and aerospace. SLS enables tool-free production of complex assemblies, oftentimes reducing a part count in the process. Direct Metal Laser Melting can produce parts that often exceed the mechanical characteristics of their cast counterparts. Parts using DMLM utilize a variety of metals including Stainless Steel, Tool Steel, Aluminum, Titanium, and Inconels. DMLM is used for everything from injection mold tooling to rocket engine chambers. When used as a replacement for casting DMLM can reduce lead times from months to days. Entrepreneurial organizations rely on 3D printing as fundamental operations for the reasons cited above: part count reductions, tooling cost elimination, radical lead time reductions and on-demand lights-out production. How will your business leverage 3D printing?